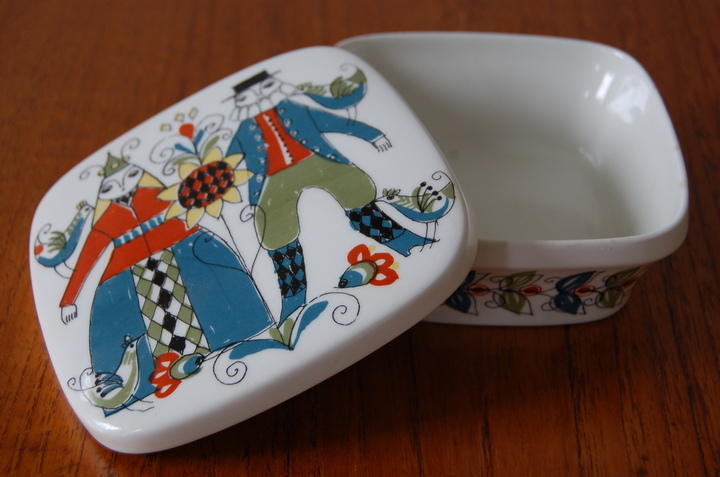 A charming and rare Figgjo Flint lidded dish in the Saga range by Turi Gramstad Oliver. 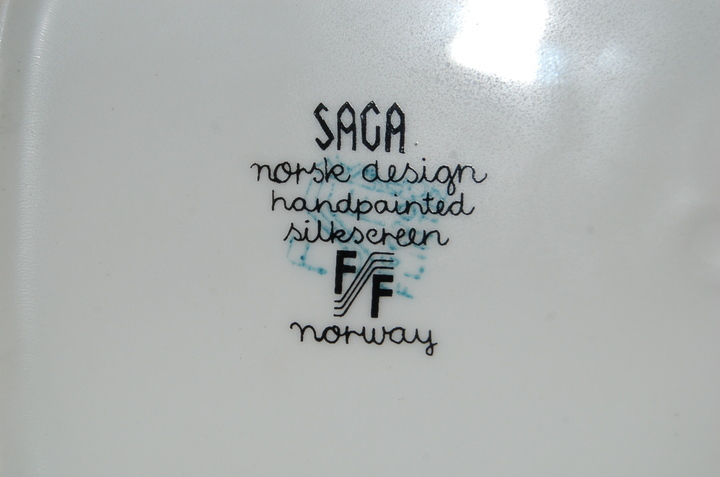 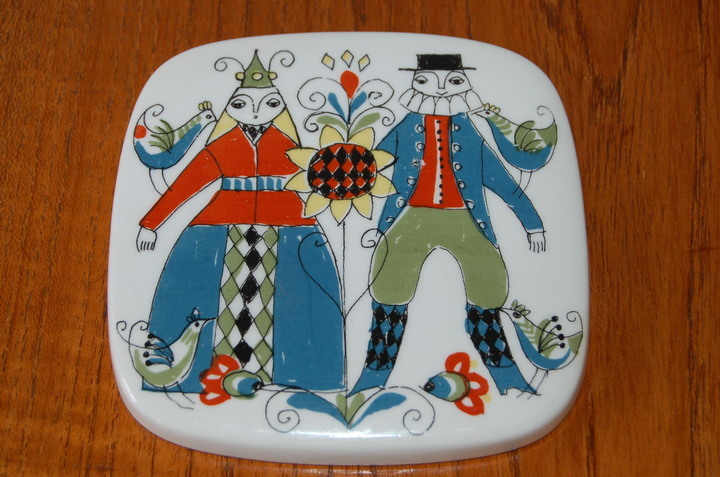 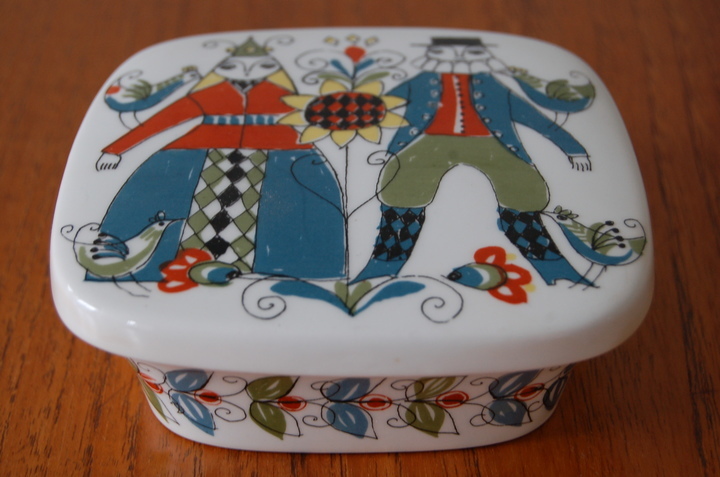 Produced in the 1960s, Saga pieces by this Norwegian company were silk screened and hand painted ceramic. 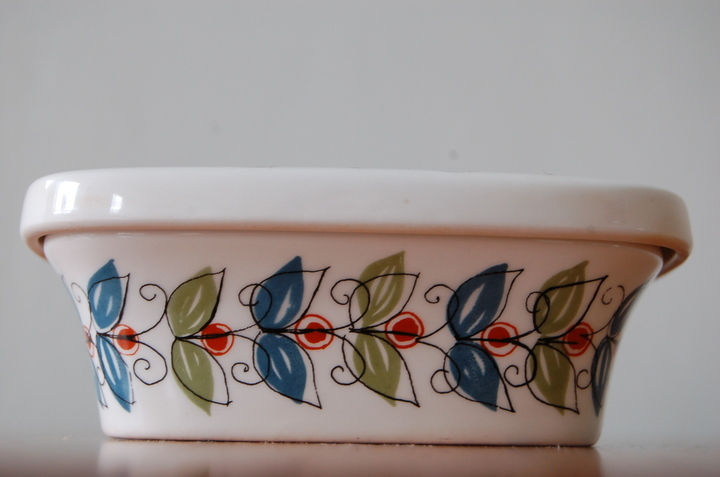 This is in good condition, with full marks to base.